Download InPixio Free Photo Editor 2019 setup installer 64 bit and 32 bit latest version free for windows 10, Windows 7 and Windows 8.1. Easy to use! Add Filters & Effects: turn your photos into artwork! Cut & Crop: Change the Focus and Size of your photos. Editing: Change the Color & Brightness Enhance your photos with frames & designs. Share your photos on Facebook! 2018-05-02 (10138). Malware Test (10138): 100% Safe Tested & Virus/Malware Free. Convert, resize and rename thousands of image files in batch mode. Select the images that you want to convert, choose an image format, select the folder where you want your converted images to be saved and you're done! Fine-tune, watermark, resize, rotate, convert and apply artistic effects to your photos using Image Plus. Xara Photo & Graphic Designer is the perfect software for all your graphic design needs including photo editing and illustration. The free photo editing software provided by InPixio will make you feel like a pro. No need to discard or delete photos that you are not happy with how they turned out. Photos are precious memories of our lives, they depict moments that were special in some way so before deleting those special events and people, fix and enhance them with InPixio’s easy to use photo editing software. Begin creating pictures that will be enjoyed and cherished by family and friends for generations to come. InPixio Free Photo Editor free to download. InPixio Free Photo Editor 2019 latest version. 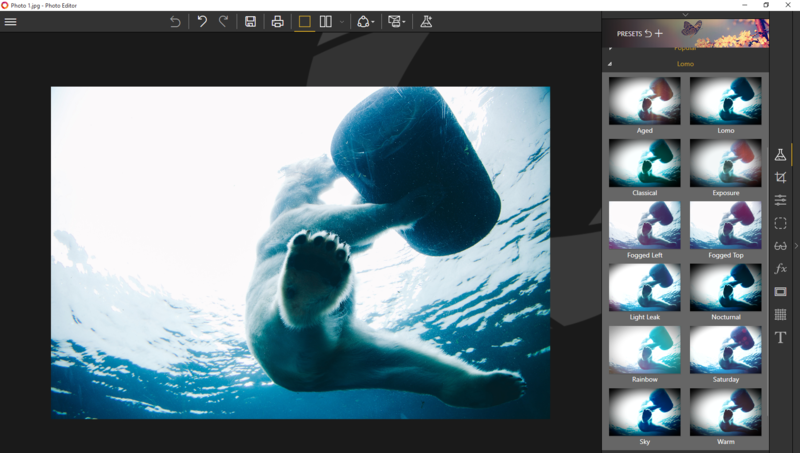 InPixio Free Photo Editor for Windows 10, 7 and other prevoius windows versions. How to uninstall (remove) InPixio Free Photo Editor Completely? Softati.com - does not store InPixio Free Photo Editor patchs, serial numbers, activation, cracks, license key, keygen or any forbidden files that may cause harm to the original developer. Only free direct download for the original developer distributable setup files. InPixio Free Photo Editor is developed and maintained by InPixio, Softati.com is not affiliated with this software developers by any means. All trademarks, registered trademarks, product names and company names or logos mentioned herein are the property of their respective owners.